One for Georgette Heyer fans/nerds mostly. Of which there can never be too many. “Our appreciation of much-loved books changes as we age.” Discuss with reference to a favourite novel. The biggest sadness/trauma in Annis’s life was the restriction felt by a rich, independent woman forced to live a best-supporting-actor life in her brother’s house. Then guess what, she can afford to get her own place. Yes, it’s still boring, but for the times, my, did she have it easy. Her greatest anxiety in the book is that her protégée, Lucilla, might be thought ‘fast’ by the Bath Quizzes, thus damaging her prospects on the marriage-mart. First-world problems, Annis, first-world problems. I’m not judging Annis by the standards of different historical times or fiction genres – even within the context of the historical period, and within the wonderfully integrated fantasy world that Heyer created, I think she is, as she might say herself, a poor creature – selfish, contemptuous and espousing values of extraordinary triviality. She can be kind to her sister, true, and she’s intelligent and beautiful – which helps: imagine if she wasn’t beautiful – she could never get away with being so snarky. Compare and contrast your chosen novel with an earlier work by the same author. I couldn’t help comparing her to Phoebe in Sylvester. Phoebe has a proper Cinderella story – dead mother, weak father, cruel stepmother. Her response is to write a book – a creative response from within herself. 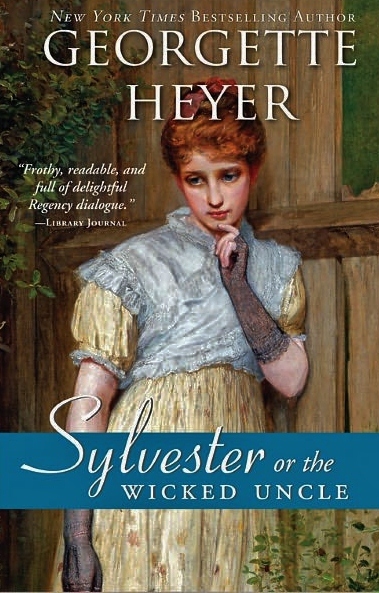 Phoebe cares passionately about justice, about the underdog: she is more concerned with Sylvester’s moral character than with propriety or his status, but she is also capable of compassionate understanding of how the death of his brother affected him. Phoebe’s behaviour is driven by her sense of justice, by remorse and self-criticism, by her care for others, whereas Annis’s behaviour is all aimed at her own comfort within a particularly limited palette. All fiction is disguised autobiography. Discuss. When I read Jennifer Kloester’s biography recently, I felt that the difference between these two heroines may well have been a reflection of Georgette’s own state at the time of writing. 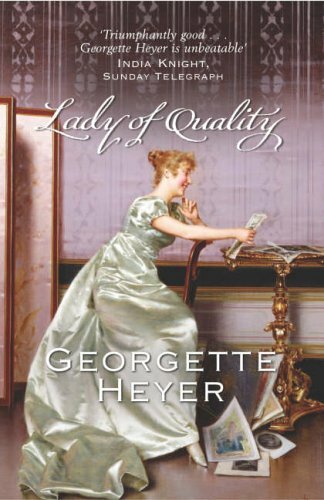 She was at her happiest and most productive when she wrote Sylvester; but Lady of Quality was her last book, and she was pretty unwell and tired. Stylistically, romantically, I think it is as good as any of her books, despite being very much a rehash of Black Sheep, but I think the narrowness and grumpiness of Annis’s inner (and outer) world, reflect the exhaustion, and dare I say it, rather self-righteous bitterness of a woman who had lived a life of both unthinking privilege and extremely hard work. I think there’s an autobiographical element in Annis, in Georgette’s idealising of Annis’s crossness, in the privileging of appearances over values and heart, but Annis lacks the saving grace of Georgette herself, whose achievements were hard won by her own graft. Annis was a daddy’s girl like Georgette, but Annis simply inherited money which gave her freedom. GH worked incredibly hard, and was the main breadwinner for much of her marriage, as well as supporting her mother and at times, her brothers. In a sense, she had earned the right to be a curmudgeon: Annis certainly didn’t. I welcome comments and further discussion. It’s possible that you may not agree with the above!